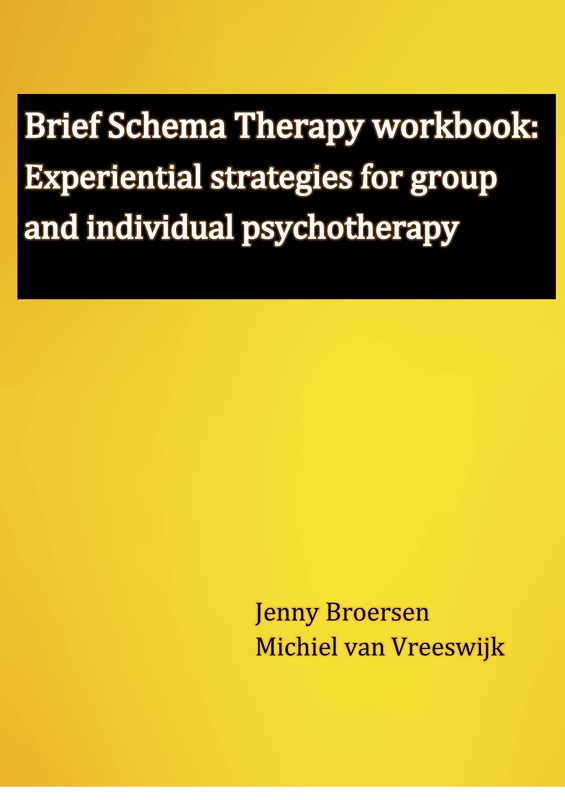 Brief Schema Therapy workbook: Experiential strategies for group and individual psychotherapy describes a session to session protocol which can be used by patients and therapists. This workbook has been used for many years by many schema therapists and patients in the Netherlands in both individual and group Schema Therapy. It is now available in English as well. In this brief Schema Therapy protocol all experiential techniques will be used. It helps patients and therapists to stay on track and to work collaboratively on changing maladaptive schema’s and modes. It helps strengthen the balance between the Healthy Adult, Happy Child and Vulnerable Child and finding healthy ways of having unmet needs met. opinion on mental health care in The Netherlands. Purchase methodologies and teaching materials. You will also find some mp3's of exercises.